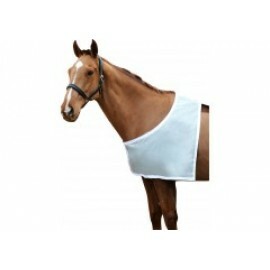 Rubber base with built in halter. 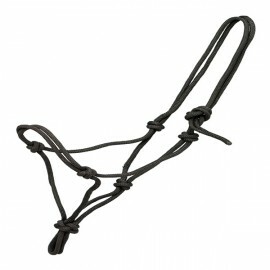 Restricts eating to aid control of laminitis and obesity Colour: Black Sizes: Pony (small fitting). 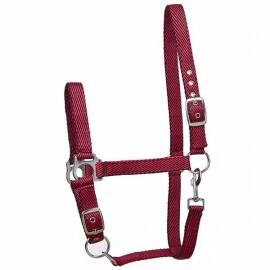 Cob and Full Size ..
An attractive ladder pattern designed headcollar Eyeletted and trigger release throat lash Colour: Cerise/Black Sizes: Small Pony, Pony, Cob and Full Size ..
A popular training aid made with a light rope with knots to the pressure points. 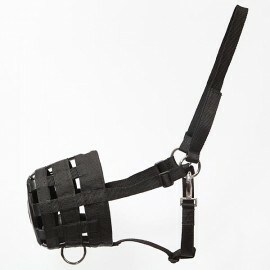 Simply fastened by tying at the cheek. 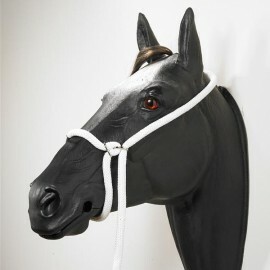 Colour: Black Sizes: Cob and Full Size ..
Colour co-ordinated bag containing: Body Brush, Dandy Brush, Plastic Curry Comb, Groomer, Hoof Pick/Brush, Mane Comb and not forgetting the horse shaped sponge. Colours: Blue, Purple and Pink ..
One size - fully adjustable .. Premium anti-rub material. Measurement taken from centre of chest to centre of withers. ..